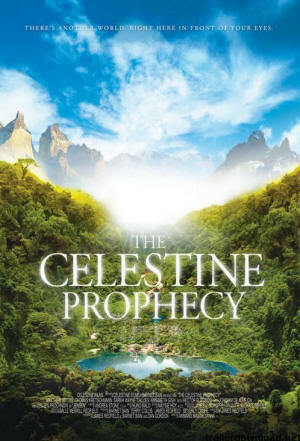 We watched the new movie, The Celestine Prophecy, yesterday. By "we" I mean Michael and I, my ex-wife Mary, daughter Karen, friends Barbara and Peter, and Michael's sister Surya. The movie is still in limited release, so we had to see it in Tempe; and afterwards we gathered at Islands, an adjacent restaurant, to have dinner and discuss the movie. The book on which the film is based is a relatively short one; so the screenwriters didn't have to leave out a lot, which is always good. (It's always tickled me the way Selznick compressed Scarlett O'Hara's three book babies into one movie baby.) Since it's an independent film, I was concerned it would look like an independent film—that is, as if it had been shot on Super-8 film stock and edited with scissors and glue. That was definitely not the case. The film is very polished, with absolutely gorgeous scenery (Costa Rica stands in for Peru), top-notch photography, excellent sound and very good movie music (meaning, though you don't leave the theatre whistling the tunes, each scene's emotional impact is appropriately underscored). The only other place a independent film can fail is in the acting; and even there Prophecy succeeds. The lead, Matthew Settle, makes you believe that he's evolved from progressive teacher to enlightened avatar in just a few days. This task should not be underestimated, because if not done properly the whole film would be lost, coming off as a comedy about a gullible moron instead of a metaphysical parable. But Settle pulls it off effortlessly. A particular joy, from an acting standpoint, is his initial interaction with Sarah Wayne Callies as Marjorie. Every detail of this interaction is later dissected (to Settle's discomfort) so you know it was all mapped out as to how it must be played—yet there is no hint of "acting" in it. It's so naturally done, it's as if we just stumbled on a nice guy hitting on a girl he finds attractive. The film's most difficult task, and the only place I found fault, was in representing the energies which metaphysics teaches to perceive and manipulate. These energies make up the human aura, and that's how we access them first. The challenge to any film is to present these so that anyone in the audience can see them, yet without their looking cartoonish. They shouldn't look like special effects. "I thought the auras were too bright," I said at our after-movie dinner. "I know they had to make them brighter than they really are, so they'd be noticeable to everyone. But these were a little too bright." "They were absolutely right," Surya disagreed. "That's exactly how they look." "That hasn't been my experience," I countered. 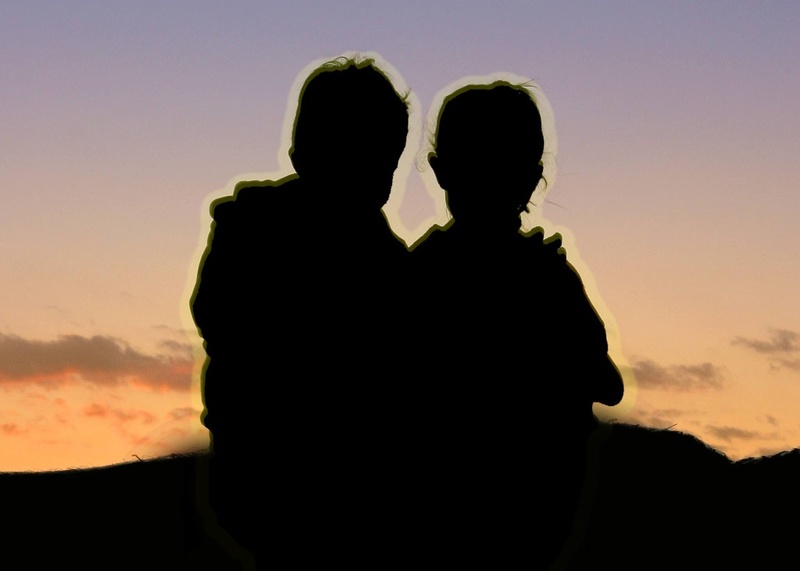 While I knew that not everyone sees auras without training—studies have shown something like one person in twelve can—until this conversation, I hadn't realized that among people who do see them, the apparent intensity may differ. Studies by Dr. Valerie Hunt and others have shown that, as far as color and relative brilliance go, "aura readers" perceive an individual's aura similarly. In fact, there are books published that map the human aura, explaining what illnesses are represented by what colors in which areas. I have no reason to doubt Surya's perception of auras, because I know she perceives that energy. She's proven it beyond doubt on two occasions. On one, Michael and I drove her to Sedona. We arrived at night, and she was sound asleep in the front passenger seat of the car. Michael and I were quiet and the CD player was turned low. Just as we approached Bell Rock, Sedona's most powerful "vortex", Surya suddenly awoke, gasping with astonishment. "Can you feel that energy?" she said, moving her hands through the air as if following its flow. I could, in fact; but for me it's a more subtle experience. I don't think it would wake me up, but it certainly caught her attention. On another occasion, we were driving near Globe, returning her to Phoenix by a route she'd never before taken. I knew there was a state prison a couple of miles ahead, but we had not yet come to the sign warning us to not pick up hitchhikers when Surya suddenly reacted. "I don't like this energy," she said. "What's wrong with this place? What is it used for?" By that time I could just point to the sign, naming the prison and warning against picking anyone up. "Let's get past this quickly," she said. "It's making me feel sick." Looking back, I remember another friend who also experiences these energies in a powerful way. Aitan, a fellow abductee, and I traveled together in Canada once. We were standing at the bow of the ferry carrying us to the island on which we were to vacation, when suddenly his knees buckled and I had to help him stand. "What is it?" I asked. "Are you all right?" "It's this energy," he said. "Can't you feel it?" Well, yes, I did feel it. It was wonderful, but it wasn't about to knock me off my feet. So, perhaps, more training might make it possible for me to see auras so brightly they obscure the people emanating them, or have waves of energy knock me over. But I'm not sure such perception would be preferable to the way I perceive them now. There are variations in my perception. Once Michael and I were driving on a dirt road through the desert. It was twilight and very beautiful. Suddenly, we drove through—something—that took our breaths away. We both turned to look at each other at the same time. "What was that?!" Michael asked. I shrugged. "Some kind of energy, I guess." He knew I didn't mean electrical or magnetic. Something else…something like the energy that makes up the aura, but more intense. Neither of us had seen anything; we just felt it. In what may be a related postscript, we were driving to a hot springs and arrived an hour or so later as storm clouds gathered. Distant lightning was strobing the heavens and I asked the attendant, kiddingly, how many customers had been struck by lightning while soaking there. She answered none, of course, and left the soaking area to return to her camper. 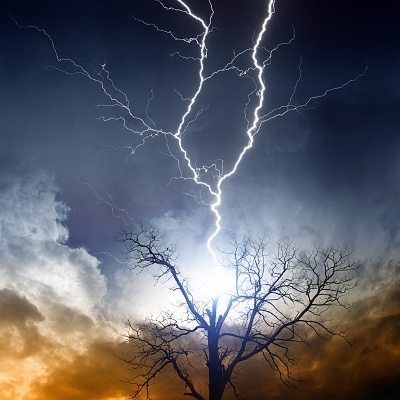 Almost immediately, I was struck by lightning. I lost consciousness for perhaps a minute, based on what Michael reported happened afterwards. I myself was aware of no discontinuity and didn't realize I'd been knocked out. Michael was solicitous, but there seemed to be nothing wrong with me. However, the next day I realized I could "see" energy lines everywhere. These weren't auras I was looking at; I was seeing the energy of the city. I was traveling to teach classes back then; and in every city I visited for the next several months, I perceived its distinctive energy, as unique as a fingerprint: Boston was blocky; Phoenix was long slabs; Los Angeles was jiggly, jerky chunks. Eventually my perceptions dulled back to normal, but now that I know what to look for, I can perceive a city's energy patterns any time I want. I don't know what use this skill is, except to serve as a reminder that this under-documented energy is everywhere and it can, under certain circumstances, be manipulated. To give another example, once Michael and I were at a party and I wanted to go home—or at least to escape the guy who had me trapped in a monologue. Michael was on the other side of the room, his back to me. I had tried three times to get away, but my captor simply wouldn't let me go. Finally, in desperation, I casually scratched my ear, then let my index finger point at Michael, sending a little dot of energy in his direction. Immediately, he turned around, saw I was in distress, and came my way. As super-powers go, this may not rival super-strength or the ability to Leap Over Tall Buildings in a Single Bound. But I'll bet even Superman would appreciate the power to Escape Boring Parties Faster Than A Speeding Bullet. Thing is, he's got that power—whether he knows it or not. Because we all do.